Our operations use fresh and non-fresh water for onshore and offshore drilling and completions and produce water together with crude oil and natural gas. Our 2017 Sustainability Report, Common Question on Hydraulic Fracturing, and Focus on Hydraulic Fracturing provide additional case studies and information on current priorities and actions for local water risk management. Some of our assets are located in regions experiencing water stress or scarcity or are predicted to do so in the future. So we integrate water strategy and risk management into our long-range planning and business processes, and develop fit-for-purpose solutions to manage water risks for each asset within its local context. Our Water Action Plan includes multiple actions on freshwater conservation for our assets. In the arid Permian Basin, we use non-fresh water for the majority of our drilling and hydraulic fracturing. We also completed multiple pilot projects using recycled produced water. When rig activity increases, produced water reuse will be the best option, economically and environmentally, for full-cycle water management. In Texas’ Eagle Ford region, we target deeper, more brackish water sources that are not used for municipal, domestic or agricultural purposes. We’ve conducted a number of pilot projects, including using non-freshwater sources, treated municipal wastewater, and recycled produced water to hydraulically fracture our wells. We have also developed a three-dimensional Visualization Tool, which provides a 3-D image of aquifers, water wells and natural gas and oil wells. We use the tool to show stakeholders that we target deeper, more brackish water sources, which are not used by local landowners. At our Montney unconventional asset in Canada, a water treatment pilot program demonstrated that reusing produced water is a viable alternative that can help reduce freshwater usage and lower cost of supply. Successful development of the field will require effective water management in a region with limited access to water and concerns from local stakeholders, including two indigenous nations, about the use of fresh water for oil and gas production. 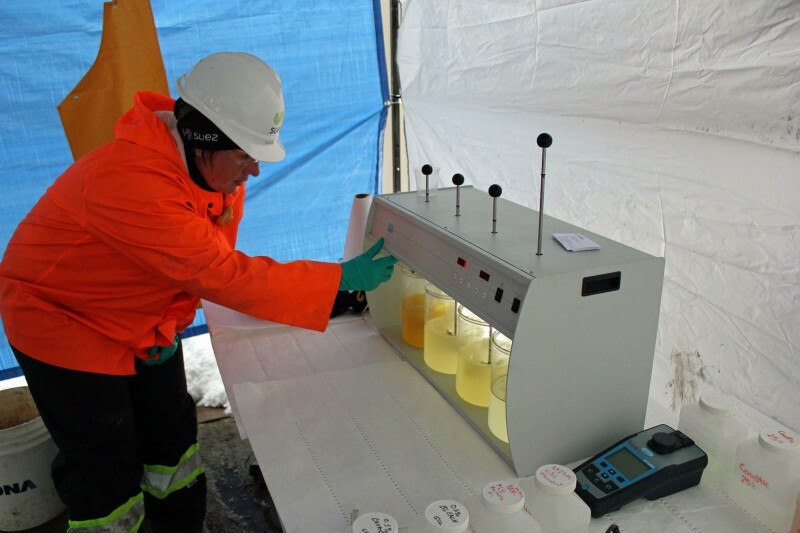 Our Canadian Oil Sands operations are drawing water from a series of deep underground sources, targeting low-quality groundwater that is unfit for agriculture, livestock or human consumption without significant treatment. To protect groundwater, we adhere to safe water management practices as outlined in our Guideline for Groundwater Baseline Assessment and Monitoring, which includes guidance on when and how baseline sampling should be conducted. Our risk-based approach provides the appropriate level of assessment, analysis and monitoring using scientifically sound methods. While many areas of our operations already conduct state-regulated or voluntary baseline groundwater assessments, the new guidelines address how this practice should be applied in areas not already covered by such programs. Baseline testing helps assess groundwater quality and protects the interests of stakeholders when conducted properly. Some of our operations produce more water than oil or natural gas. Produced water — which is water recovered together with oil or gas from the producing formation, which can be many times saltier than seawater — is a byproduct associated with oil and gas production. By working to advance our reuse and recycling of produced water, we are minimizing the use of fresh water in our operations. Produced water treatment enables more recycling, reduces the volume of water requiring disposal and improves disposal water quality. More information on these efforts can be found in previous Sustainable Development Reports and spirit Magazine. Recycling of produced water for hydraulic fracturing often requires storing larger volumes of water that can have elevated levels of total dissolved solids (TDS, a measure of water quality). We have developed an engineering guideline for selecting, designing and specifying high TDS water storage alternatives. 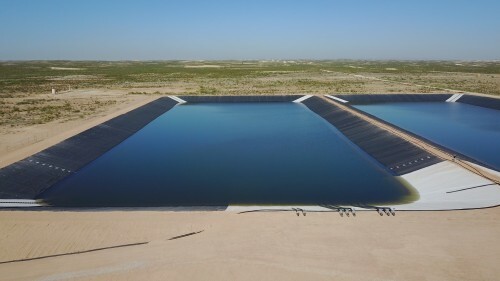 The guideline includes an evaluation matrix to help select the best site-specific storage alternative between aboveground storage tanks or in-ground impoundment (an engineered, lined pond) based on criteria that includes total volume, site layout, location with respect to floodplain or protected areas, depth to groundwater, distance to surface water, soil conditions and environmental criteria. Produced water that is not reused or recycled can either be discharged or disposed by well injection. An example for produced water discharge is our Norway Greater Ekofisk operation, where our fields produce more water than they do oil and natural gas. Here, the produced water is treated to improve water quality and to meet and exceed stringent standards by removing dispersed oil and some water-soluble organics before overboard discharge. Examples for disposal are our conventional and hydraulic fracturing operations, where produced water is disposed of in saltwater disposal wells (SWD). The name refers to the typically high salinity of produced water. SWD wells are deep wells that inject produced water into underground formations, often over a mile in depth, into sub-surface zones that already contain naturally occurring saltwater. Some studies have linked increased seismicity rates to the disposal of produced water in SWD wells, while other studies have assessed the potential linkage between hydraulic fracturing and increased seismicity rates. We use a risk-based Global Induced Seismicity Guideline for the planning and operation of our new injection wells and for screening third-party injection operations, if circumstances warrant. The guideline helps characterize seismicity risks by assessing historical seismicity, identifying geological faults of concern, assessing actual or proposed injection operating conditions, and considering proximity to people and population centers. It also provides possible monitoring, management and response planning options if the assessed risk is elevated. We are working with our peers and academic researchers to better understand and document if, where and how fluid injection and hydraulic fracturing may contribute to the phenomenon of increased rates of seismicity over background trends. Can oil & gas operations cause earthquakes? Can hydraulic fracturing be done safely?